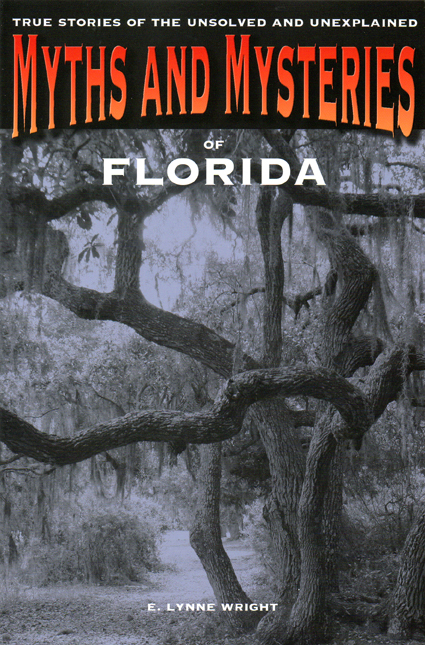 Myths and Mysteries of Florida by E. Lynne Wright is a collection of fifteen mind-boggling, dark and ominous tales about villains, ghosts, and strange happenings in the Sunshine State. Did D.B. Cooper survive his infamous skyjacking attempt, leaving behind a Florida widow? Who murdered America's first civil rights martyr? Did the astronauts from Apollo 11 really land on the moon? Did a teenage boy watch a sea monster attack his four friends who were never seen again? Myths and Mysteries of Florida pulls back the curtain on some of the state's most fascinating and compelling stories and makes history fun. E. Lynne Wright is the author of More Than Petticoats: Remarkable Florida Women, Editions 1&2, It Happened in Florida, Editions 1&2, Disasters and Heroic Rescues of Florida, and Florida, Mapping the Sunshine State Through History, with Vincent Virga, all for the Globe Pequot Press. Her short stories, nonfiction articles, essays, and book reviews have appeared in the Cleveland Plain Dealer, the Hartfort Courant, Woman's Day, Literary Liftoff, and other anthologies and literary magazines. She lives in Vero Beach, Florida. Myths and Mysteries of Florida will be available on Amazon, Barnes & Noble, and in book stores on November 6, 2012.